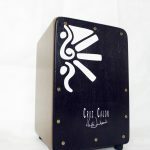 Here’s a basic first groove to getting started with the rumba on cajon! The rumba has so many different patterns, grooves and feels, it has a vast range of different ways to play it. It is used most often in Latin, Cuban, African, Arabic and Flamenco (rumba catalana) styles, but the rumba pattern is al sooften used in reggeaton, dance (house etc) and popular music as well. 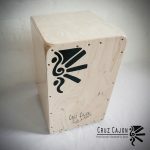 Learning to play the rumba is important for anyone who plays cajon, it’s like learning to play alternative patterns to spice up popular music. I am looking forward to being in the studio this week and filming rumba lesson 2, sign up to our newsletter tand be the first to know when it’s out! 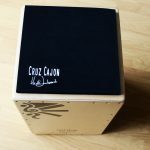 I’m a professional musician, i do play lots of instruments, and recently bought another (better) cajon to replace the old one i used. Did some “googeling” for info and online lessons..
Really enjoy studying now, so i’ll be lookin in on regular basis. Very best wishes, keep up the good work, good luck and succes with all the thing you’d like to achieve being a inspiring musician !